Our work with healthcare enterprises indicates that health systems are investing in specific programs such as telehealth and remote monitoring. While these initiatives gather momentum, other digital health programs are struggling to emerge from pilot deployment and also face competing priorities for discretionary budgets. Electronic health record (EHR) systems continue to consume a large chunk of enterprise IT budgets in health systems. Despite the growth of digital health solutions, EHR platforms, despite their well-known lack of user-friendliness, continue to be the default choice for health systems looking to improve patient engagement and caregiver enablement in the short term. CIOs of health systems will face a trade-off between traditional EHR systems and emerging digital health technologies; ease of integration and deployment on the one hand, superior experience design and advanced analytical capabilities on the other. At this time, digital is a game of “small numbers,” and most digital health programs will deliver low returns on investment until they gain enterprise-wide adoption. Despite the growth of virtual care models, the reimbursement framework for telehealth is yet to catch up with adoption rates. The widely reported challenges faced by IBM Watson Health, reported extensively by Stat, reveal how advanced technology solutions often fail to get a grip on the complexities of clinical care. AI has other problems too. There is a backlash against the vendor community’s “black box” algorithms compounded by the over-hyping and inflated promises resulting from vendors painting everything with an “AI” brush (much as they are doing with the “digital” brush). The appetite for advanced analytics seems to be in question as well. According to Consulting firm McKinsey, many Chief Analytics Officers across the industry find themselves doing basic reporting work under pressure from business stakeholders even as they are expected to “move beyond the math” and deliver tangible benefits from AI and advanced analytics. There is a mature technology now to mine vast and diverse data sources, as machine learning and natural language processing (NLP) algorithms continue to get better. Healthcare enterprises now have a choice of many technology and analytics solutions in the marketplace, from big tech firms as well as startups. 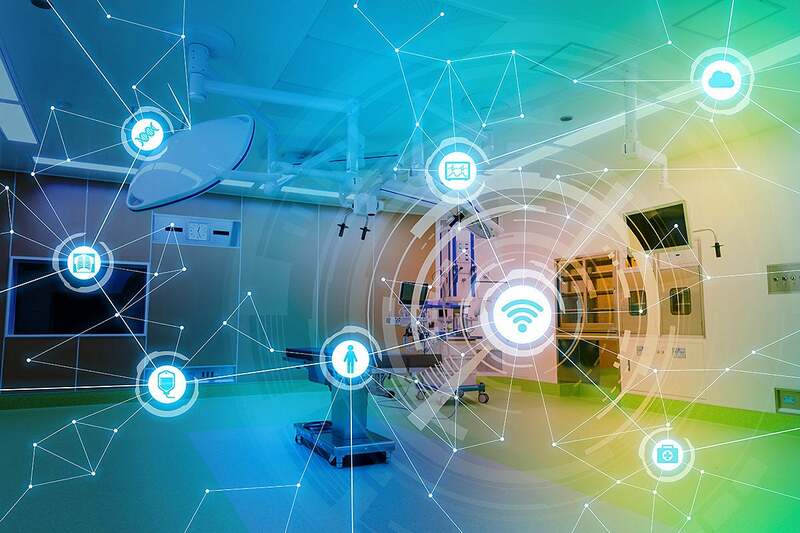 The good news, according to a survey by Optum, is that 75 percent of healthcare enterprises are planning to execute an AI strategy. The challenge for health systems and their technology providers is not just to develop meaningful insights but integrate them seamlessly into clinical workflows and care pathways. Recent efforts by large health systems in forming consortia to share data and develop common insights, such as the one involving 41 health systems including Geisinger, Intermountain, and others to reduce diagnostic errors, could become a model for the future. Technology firms are engaged in a raging battle over who "owns" the healthcare consumer of the future. Big tech firms have made significant progress in building capabilities to aggregate and analyze large and diverse sources of data. However, their platforms do not provide the “last-mile solutions” required to bring the insights to life in real-time care delivery or to engage directly with healthcare consumers. Microsoft, Amazon, and Google have raised the stakes in 2018 by hiring high-profile clinician executives to come up with the elixir for success in the new digital health landscape. However, it is unclear how these firms are going to approach healthcare in a differentiated way. Ambitious programs launched by big tech will get closer scrutiny in the coming year. Google (Alphabet) quietly shut down its Alcon diabetes-detecting-lens project, one of its many "moonshots," because the technology did not work. Expect other big firms to evaluate their investments in healthcare as they figure out their play. At least one new player, Amazon, will look to make a big, bold move into this space. Among big tech firms, Apple has been an exception. Its remarkable achievement in turning the Apple watch into an ECG app indicates it is much further along in digital health than any other big tech firm. Apple has also made significant progress in integrating its smartphone apps with a wide range of data sources, including leading EHR systems such as Epic. Today, digital health startups are caught between a rock and a kill zone as they struggle to gain traction with end clients on the one hand and protect themselves from being crushed by big tech competitors on the other. For the first time, we saw public failures of promising startups in 2018. Lantern, Cloudmine, and Quanttus were highly visible startups that shut down or filed for bankruptcy after failing to gain traction in the market. The good news for startups is that healthcare enterprises are taking an interest and have set up innovation funds that provide a platform for innovators to pilot their solutions and are taking equity stakes in some cases. Startups will need to find ways to rapidly exit from “pilot purgatory” to enterprise adoption in a race against time while they burn through venture capital (VC) funding. A handful of digital health startups will be targets for high-profile exits. In 2019, we will see healthcare enterprises acquiring technology firms and startups, an example being Roche’s acquisition of Flatiron Health for a reported $1.9 billion. Despite the noise around the potential for blockchain, use cases in deployment are few and far in between in healthcare. Half the physician community has not even heard of the term (compared to the term AI for instance). A crucial aspect of blockchain is the need for a large number of participants to achieve critical mass in a blockchain program. There is at least one large-scale effort worth mentioning in this regard. The Synaptic Health Alliance, a recent initiative for addressing the $2 billion a year problem of provider data management using blockchain by a consortium involving Quest, Humana, and Multiplan (joined lately by Aetna and Ascension), could be the model for the future.